The 3M Perfect-It Gelcoat Heavy Cutting Compound is a fast-cutting compound which removes heavy oxidation, scratches and other defects. Use 3M Perfect-It Gelcoat Heavy Cutting Compound for any P800 and finer scratches. Its improved formula has longer wet times for easier clean up and less dust. Plus, this formula works better in warm climates and allows you to use less material than before. 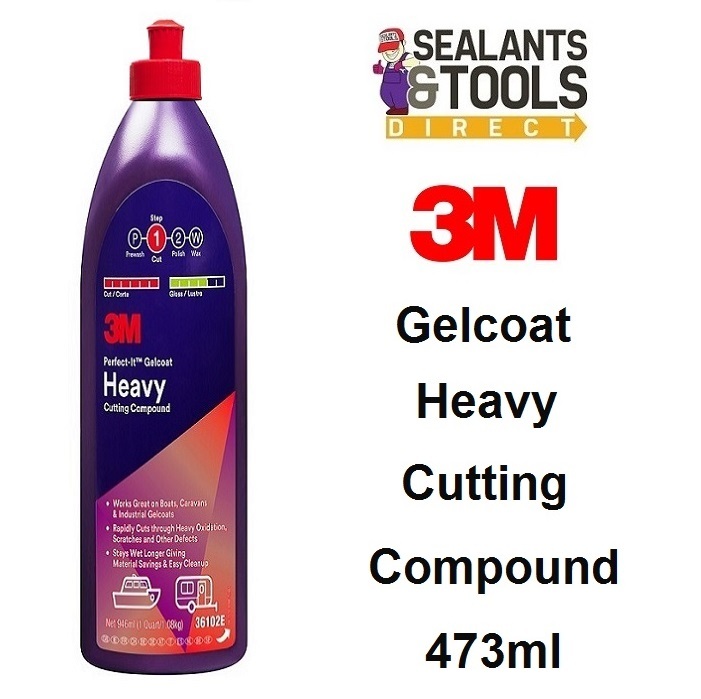 3M Perfect-It Gelcoat Heavy Cutting Compound works great on boats, caravans and industrial gelcoats. its high gloss results can be protected with 3M™ Perfect-It™ Boat Wax after compounding for an easy finish.